Eyebeam is a launchpad for innovation—we give time, space and money to artists seeking to reinvent technology. Nothing speaks better than examples: here are just a few of the amazing ideas with roots in open-source that we helped unleash on the world. 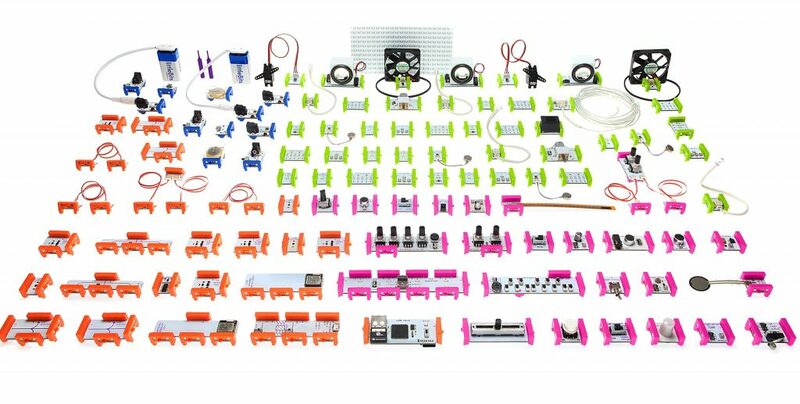 Ayah Bdeir, recent Eyebeam resident, launched her enterprise littleBits to allow kids everywhere to become hardware inventors. “At Eyebeam, I was taught to question identity and technology, and how they factor into one another. Engineering should be democratic,” Bdeir says, of the inspiration behind this idea. ReBlog was the first ever online “sharing” protocol and the beginning of the social web. It was developed as a project at Eyebeam, led by Jonah Peretti, Michael Frumin, Michael Migurski, Alexander R. Galloway and Boris Anthony. The idea of “reposting” someone else’s blog on your own site, at the time quite novel, was later picked up by Tumblr, then Twitter, and finally Facebook. It’s now ubiquitous, as it should be. One of the first comprehensive rap lyrics database, for the Rap Research Lab. The program was founded by Eyebeam Resident Tahir Hemphill based on his Rap Almanac, a searchable database built from the lyrics of over 50,000 hip-hop songs, which generates reports on searched words, phrases and ideas. 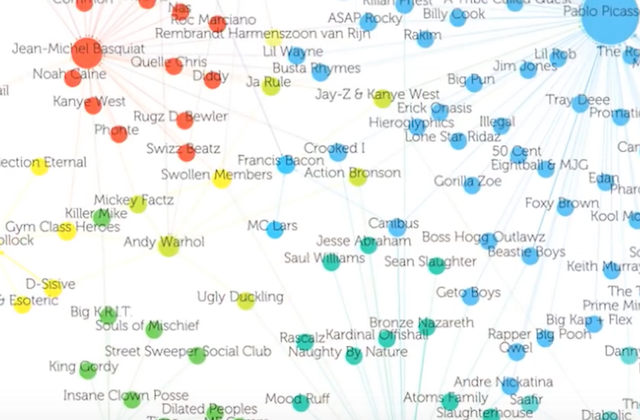 The graph above, “Picasso, Baby”, by Hemphill, links rappers to the painters they reference most. The first ever arts and tech summer camp for teens, Digital Day Camp, began in 1998, led by Beth Rosenberg at Eyebeam. DDC provided a unique, creative, and hands-on learning experience in applied art and technology, where teenagers could engage with professional working artists, technologists, designers, and educators in the areas of gaming, electronics, coding, music, and more. Students were given a stipend to attend. The first ever C-based creative coding platform, OpenFrameworks. Openframeworks is a c++ library designed to assist the creative process by providing a simple and intuitive framework for experimentation—to make it easy to “draw” in code. OpenFrameworks was actively developed by Zach Lieberman and Theo Watson along with the help of the ever-growing OF community. 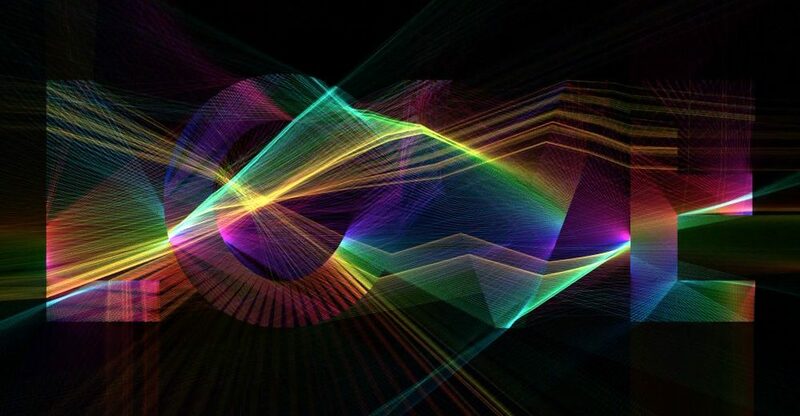 Lieberman’s experiments with simulating refracted lights through words like “LOVE,” above. 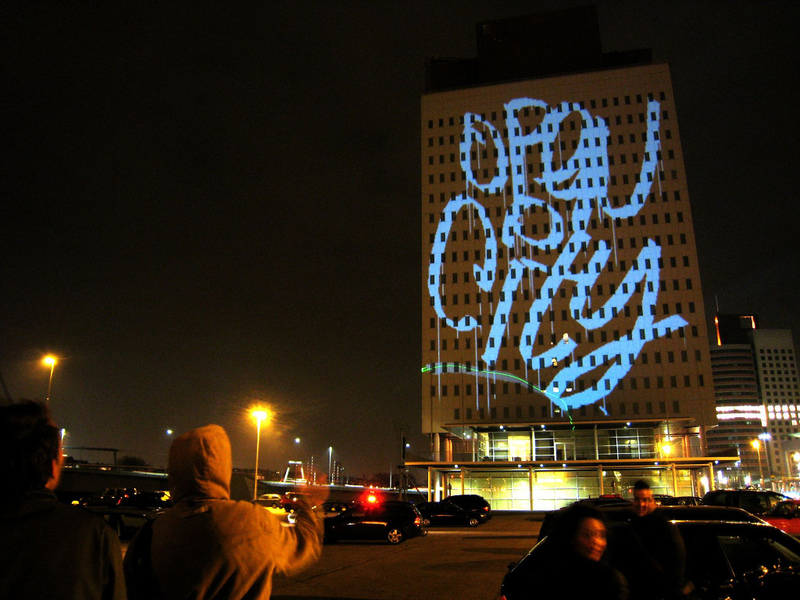 The first projection-based street art, Graffiti Research Lab, founded by Evan Roth and James Powderly in 2006. This group is dedicated to outfitting graffiti artists with open source technologies for urban communication. The group is widely credited for inventing LED “throwies”, magnetic lights that could be tossed onto surfaces to leave messages, and providing extensive DIY instructions for all of their projects. Above: a projection test on the Hudson River.